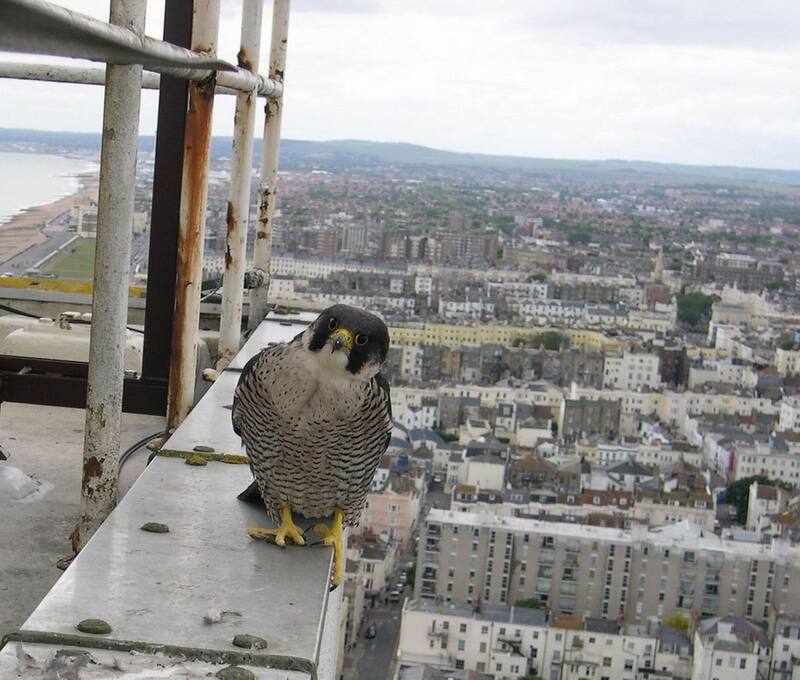 A Peregrine Falcon nestbox, provided by Graham Roberts of The Sussex Ornithological Society, was installed 334 feet up on the roof of Sussex Heights in March 1998. This nestbox has been tremendously successful with Peregrines raising young every year since 1998, except in 2002 when they bred on West Pier. 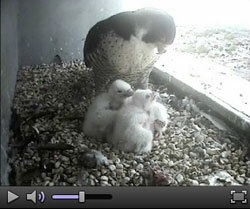 Live webcam viewing from inside the nestbox has been operated for many years. This has proved extremely popular amongst a wide audience including Brighton residents and others from all over the world. The first pair were believed to have been the first pair to breed in an urban environment in the south of England for three years running. Peregrine falcons were extinct in Sussex between 1945 and 1990. 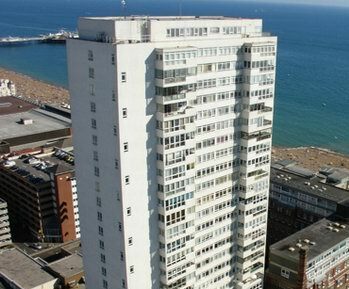 The Sussex Heights building is going to be renovated over the next few years and there was a concern that the nestbox would have to be moved elsewhere to protect the birds. For the breeding season our managing agents Austin Rees have scheduled the work programme to minimise disruption to the birds by liaising with Natural England and the Sussex Ornithological Society. Major works start in summer after the eggs have hatched and the birds are at least 4 weeks old, when there is much less impact on the birds. 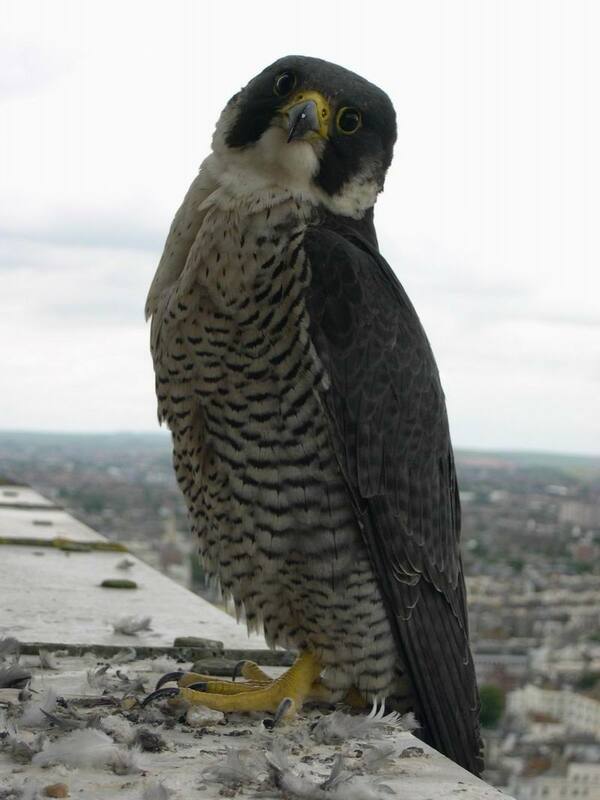 The history of peregrine falcons, can be traced back over 5 million years. 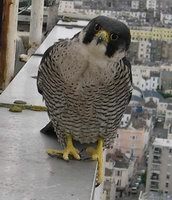 Nowadays they not only live on cliffs and mountains but also in towns, breeding on top of cathedrals or skyscrapers located close to rivers or coasts. They hunt other birds like pigeons, blackbirds, ducks, etc. Their speed is their main weapon for killing during the hunt. 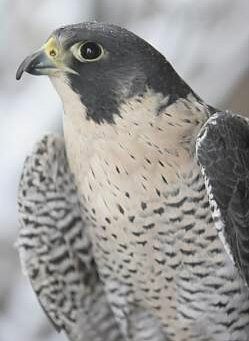 Peregrine falcons are the fastest animal in the world reaching 320km/h (200mph) during hunting dives. 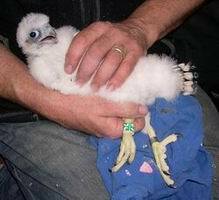 Peregrines can be up to 50cm long with wingspans between 80cm-120cms. 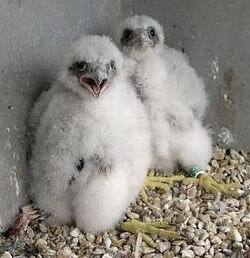 Peregrine falcons generally pair up for life and when the chicks are old enough to leave the nest will probably not see their parents again. Currently there are estimated to be over 1400 breeding pairs in the UK and about 12,000 in Europe as a whole. These numbers are the highest for over 50 years.